As noted in the earlier section, the application process of Peer-to-Peer loans is relatively easier than traditional financial institutions, such as the banks because of the speed, access and flexibility. A drawback of bank financing is the lengthy application process that can take weeks or even months as banks require more information and documents for loan applications. Approval notifications can also take a while – a hindrance to businesses that can’t afford delays in getting financing loans. However, the application process of Peer-to-Peer loans can be completed in a matter of minutes as it can be done online or even through mobile applications. Most Peer-to-Peer lending platforms also offer quicker approval notifications for your loan applications. Traditional loan products may require up to 1 to 2 months of waiting for your loan approval. 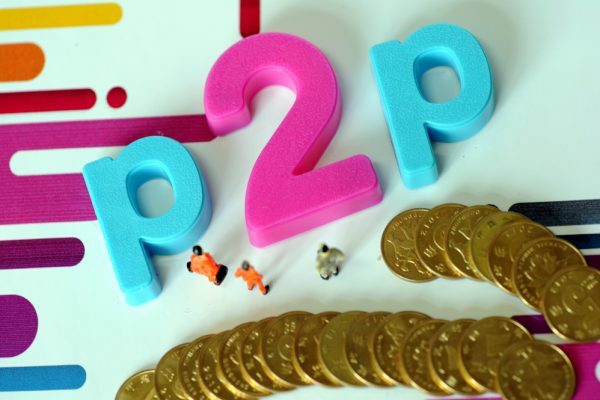 In contrast, P2P loans can be processed within days, even hours, as long as there are enough interested investors and depending on your loan amount. At Funding Societies, we offer three main business financing solutions. FS Bolt is a credit product aimed to provide flexible working capital loans for local SMEs. The FS Bolt mobile app was designed to be as user-friendly as possible, with (1) a two-minute application process, (2) minimal document submission, (3) approval notification in two hours, (4) disbursement within 24 hours, and (5) loan flexibility. FS Bolt also incorporates automation and highly intelligent systems to include non-traditional datasets into the firm’s credit assessment processes. There are no fees for early repayment, differentiating FS Bolt loans from other financial products in the market. You only pay interest while using the funds and you’re encouraged to repay the loan as soon as possible. In-app customer support is also made available should you encounter any issues. If you require a larger quantum (more than S$50,000), Funding Societies offers business term loans up to S$1,500,000. Business term loans are financing products where you get a loan from a financial institution for an amount that has a specified repayment schedule, with a fixed interest rate. Term loans are usually repaid monthly from a business’ cash flow. Generally, a small business will use the cash from term loans to purchase fixed assets such as equipment for the production process. The loan amount and interest rate are generally set by the financial institution’s credit team. Invoice financing is a product where a party sells the future receivables or invoices they issued to their customers to get immediate cash, at a discount. When the debtors pay their invoices, investors who bought these future receivables would receive full payment and make a return. Invoice financing is also known as “accounts receivable financing”, “invoice factoring” or simply “receivables financing”. What are the advantages of invoice financing for SMEs? Invoice financing is a good short-term financing option for SMEs with a significant amount of accounts receivables in the form of invoices. It provides financing with lower interest rates compared to other types of short-term financing. What is the invoice financing solution at Funding Societies? At Funding Societies, our invoice financing solution pro-rates interest on a daily basis. For regular invoice financing, interest rates are fixed to the invoice amount and loan tenure, and will not differ even if you or your clients repay early. By pro-rating interest, SMEs can save interest payment by repaying early. For most invoice financing products, your loan tenure is fully dependent on your invoice terms, regardless of early or late repayments. In reality, however, companies often struggle with late invoice payments from debtors. Our invoice financing solution takes into account the client’s receivables ageing history and offers up to 120 days tenure to provide SMEs greater flexibility and cash flow assurance through their invoices. Join this upcoming event on 12 March 2019 to understand the 2019 SME financing landscape, Singapore Budget’19 updates & impact to SMEs, and how crowdfunding can propel your business to be the next Singapore success story.